Trace the history of the city through its famous waterways. 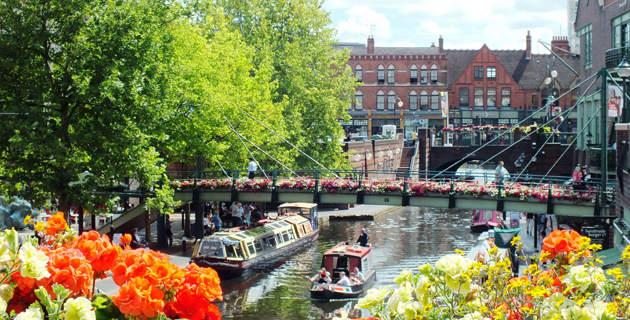 Find out why the canals were so important, who built and worked on them, and explore the towpaths, from 21st century developments to Birmingham’s industrial heritage. This is not a wheelchair accessible tour. Our Wheelchair accessible tours can be found by clicking here.